A funny thing happened when Detroit Police divers searched for a car in the river as part of an investigation: They found 16 more they weren't looking for. 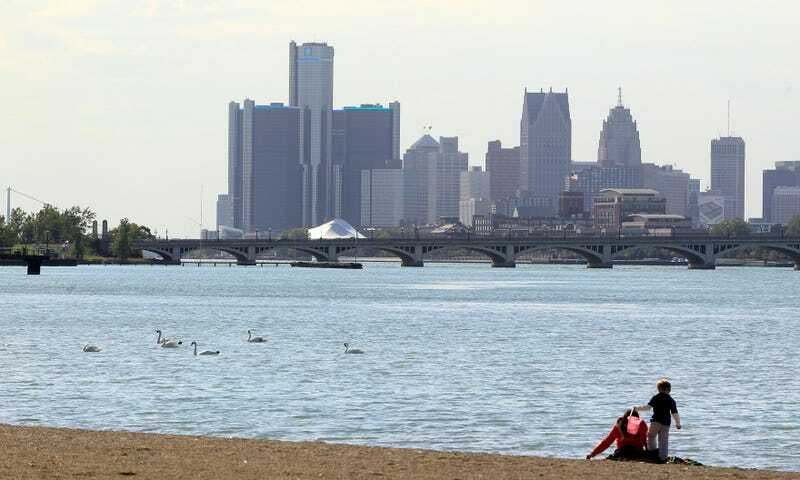 In three days, police found 17 vehicles in the Detroit River, according to a recent WDIV report. We're not going to act like cars dumped in waterways is unique to Detroit, but finding 17 cars in the same spot — the shores near the Ambassador Bridge — is strange. At least 17 cars have been pulled out of the Detroit River by police in the past few days. Even more strange is the types of cars found: At least one Lincoln Navigator (if we're to believe the syntax of the reporter) and at least one Cadillac Escalade. There was a Ford F-150 and Bronco found, too. No BMW X5s around here, this is America, son! Divers have the murky task of making sure there are no bodies in the vehicle before lifting it from the waters. No bodies were found this time, but other potential evidence — ski masks, for example — would prompt further investigation. Detroit-watchers shouldn't fear that the river is merely an underwater buy here-pay here lot, though. According to another recent report, the health of the fish in the river is improving — and people who fish the river have noticed that the flavor of their seafood is "not impaired."